SeSys Ltd., a partner of Mobotix, has just been selected by Wessex Water to help with the commissioning and operation at one of its largest sewage pumping stations. SeSys has deployed a Mobotix camera that has been modified to meet Atex standards in an enclosed water screening building that pumps 8,000 liters of storm water into screens in order to remove debris before it is sent to treatment. During the commissioning stage, the camera allowed technicians from Wessex Water to adjust the speed of the pumps. Wessex Water is a regional water and sewage treatment business serving an area in the southwest part of England covering over 6,000 square miles. The screen is essential to stopping debris from being carried into a stream or river when a significant amount of rain exceeds the capacity of the treatment process. The pumps, in terms of power, can move enough water to fill an Olympic-sized swimming pool in just under six minutes when at full speed. Wessex Water selected a Mobotix camera from SeSys, a specialist in digital IP and network video. SeSys is well-known within the industry for innovative projects, especially within challenging outdoor, subterranean and haz-chem environments. Overall, the installation proved extremely reliable within the pumping station and Mr. Mining, Wessex Water’s ICA Technical and Developmental Manager, believes that the use of CCTV technology in this way helps the organization to ensure the highest levels of service delivery, especially during times of heavy rain. Axis Communications just announced an improved range of thermal network cameras with the launch of Axis Q1922 and Axis Q1922-E. These are the newest additions to the Axis Q19 Series launched back in January of 2010 as the world’s first true thermal network camera series. These new cameras feature VGA resolutions and a plethora of lens alternatives to ensure better image quality and extended detection ranges in complete darkness and challenging visual conditions. 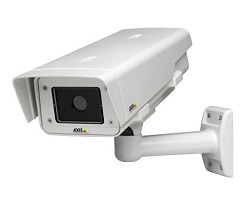 The VGA resolution of these cameras provides more pixels on the detected person or object. This significantly increases reliability and also improves surveillance efficiency and facilitates integration of intelligent video applications like motion and cross-line detection. In addition to that, these cameras are also perfect for cost-efficient 24-7 area or perimeter surveillance for critical applications like airports, power plants, transportation hubs and harbors. 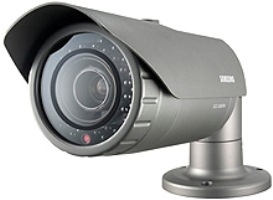 What’s more is that these cameras can also be easily integrated into any IP-based surveillance system. The Axis Q1922 is designed for indoor surveillance with the Axis Q1922-E designed for outdoor surveillance with an IP66-rated housing. The four available lens alternatives, 640×480 VGA resolution and advanced image processor further improve effective area and perimeter surveillance. In addition to that, the four lens alternatives also sustain maximum flexibility in range and field of view, ranging from 320 to 1,970 yards depending on the lens options. These new cameras also support key IP surveillance features, like H.264 and Motion JPEG compression, two-way audio, local storage and Power over Ethernet. In addition to that, as intelligent video is also a key component of any thermal network camera, these cameras provide a tampering alarm, motion detection and support for the Axis Camera Application Platform. Both of these cameras are expected to be available in January 2012 via Axis’ distribution channels.